Easter weekend sale on all my 34 themes now only 99c each! 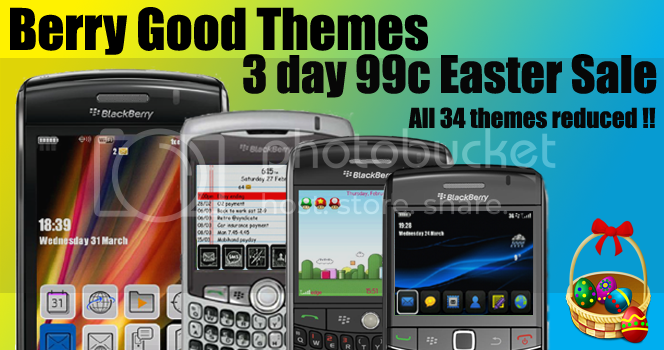 All 34 of my BlackBerry themes are on sale this weekend at only 99c each! lots of great designs to choose from, including my Super Mario Theme which is one of the top selling themes in the world!!! Sale must end sunday night at midnight!! DON'T MISS OUT!! CHECK OUT MY THEMES HERE IN THE CRACKBERRY STORE!